Emerald: Pay us our entitlements- Nigeria Police Peace Keepers cry out!!! 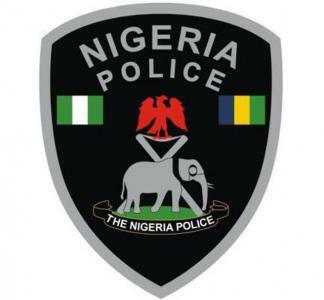 Pay us our entitlements- Nigeria Police Peace Keepers cry out!!! The Nigerian Police Peace keepers who served in the United Nations Peace keeping Mission in Haiti in 2011 have accused the authorities of short changing them in the payment of their allowances after their return to the country. Spokesperson of the 140 contingent involved on condition of anonymity alleged to that each of the 140 Officers were short changed of $556 USD by the police authorities. According to him , "Each of us was entitled to $1000 per month making it a total of $7000. However, to our dismay we were given $6444 without any explanation on what happened to the balance,"
He further alleged that N450,000 estacode for each of the officers that was supposed to be paid has not yet been paid, almost a year after their return. The Peace Keepers said all their effort to ensure that they were paid the money has been fruitless, as according to him, both the officer that led the contingent, CSP Mamman Dauda and the officer ing charge of Peace Keeping Unit at the Force Headquarters, ACP Zanna have not been forthcoming on the issue. (DCP) when contacted said the set of the Police Peace contingent has been paid all their allowances as stipulated and at when due. He argued that the authorities discovered that the Officers during their tenure were overpaid some allowances which were later discovered and necessary correction were promptly made. "They discovered that the Officers were over paid. They were paid $1028 instead of $1,000 for six months." He said on this discovery necessary corrections were made and therefore no one was short changed. DCP Amore while confirming the non-payment of the Officers estacode disclosed that the Ministry of Police Affairs is solely responsible for such payment. He said if the payment has not been made, it might be that funds meant for such has not been made available.